31.5 miles, 18,000 feet of elevation change, 12 – 4000+ footers, White Mountain Guide book time: 20 hours and 17 minutes. 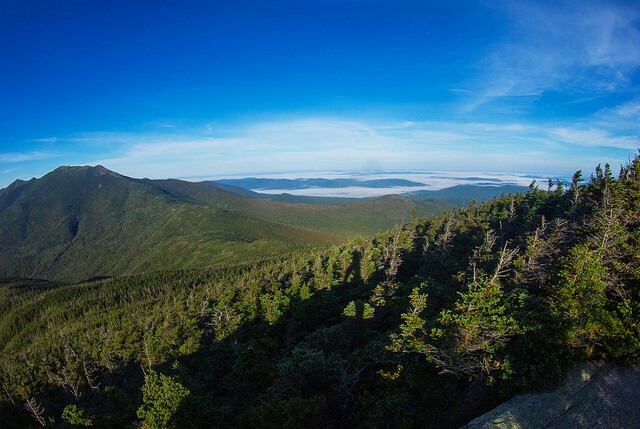 The Pemigewasset Wilderness in New Hampshire’s White Mountains is a granite spined labyrinth of dense forest, steep slopes and sweeping views from high above the tree line. 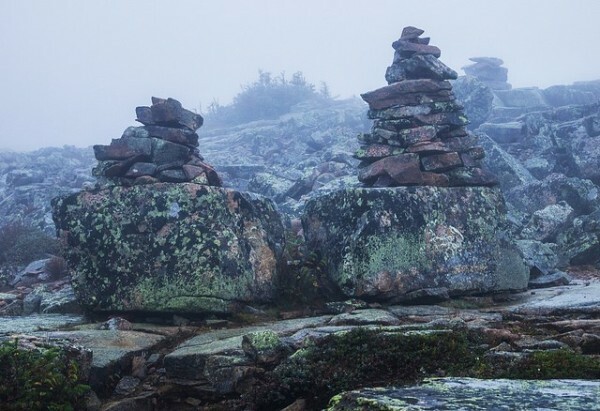 The Pemi Loop circles the western half of the wilderness on a chain of mountains which has, at its center, the wooded summit of Owls Head. 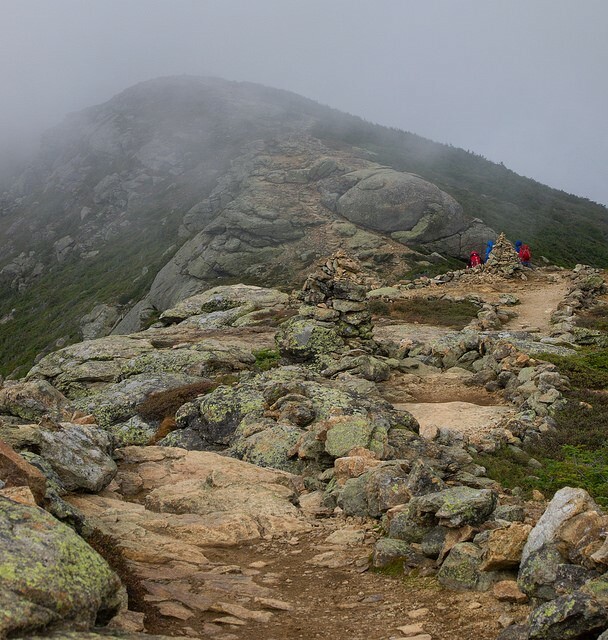 You won’t find the Pemi Loop in the most recent 29th edition of the White Mountain Guide as it represents a near mythical combination of six trails (clockwise – Lincoln Woods, Osseo, Franconia Ridge, Garfield Ridge, Twinway and Bondcliff, Lincoln Woods) which, if hiked together, produce a loop trail over some of the most beautiful sections of trail in the area. Buy a copy of the guide with all four maps of the Whites or rely on the Franconia-Pemigawasset map which is available separately in a waterproof version (this proved useful during my trip). Access to the trail is through the Lincoln Woods Visitors Center on the Kancamagus Highway five miles east of Lincoln N.H. There are many USFS campgrounds immediately around the visitor’s center (Big Rock and Hancock campgrounds on the Kancamagus) which would permit you to camp out and get an early start. I chose to stay overnight in Lincoln, 15 minutes from the trailhead, setting me up for an 8 AM start. Overnight parking is available at the rate of $3 per day, payable through a self-service station. Backcountry camping is permitted in either of two ways: by self-selection following the USFS rules, or at the designated campsites. 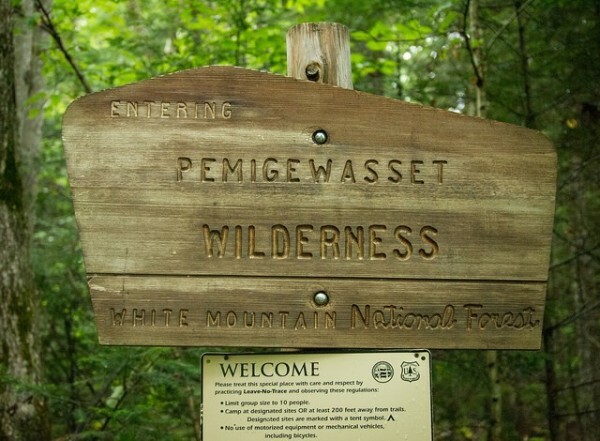 The USFS rules for the White Mountains: no camping (i) within 1/4 mile of any hut, shelter, campsite or trailhead; (ii) above tree line; (iii) within 200 feet of any trail; (iv) within 1/4 mile of the Pemigewasset River. These rules, along with the general shortage of water and the steep terrain, means you either carry water and camp or descend to find water to camp near. Given the already significant elevation gain, this supports the use of the designated campsites. 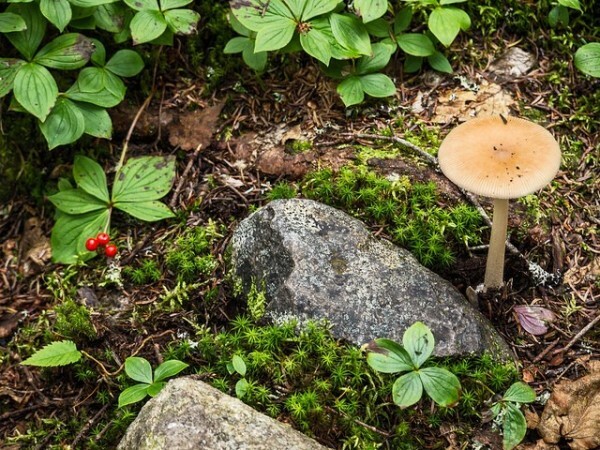 There are three such campsites on the loop: Liberty Spring, Garfield Ridge and Guyot. 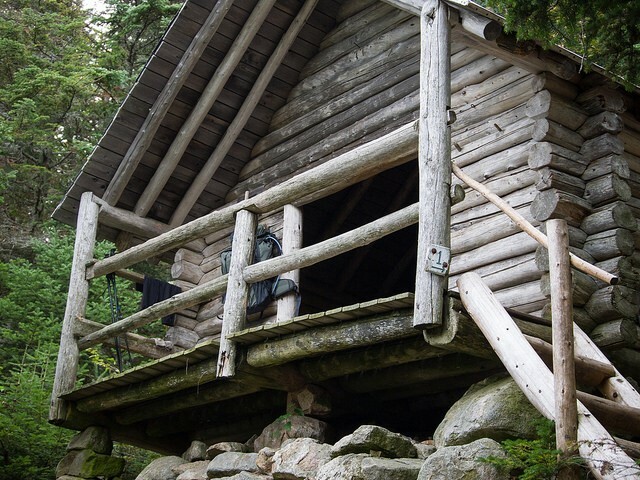 Additionally, Galehead Hut with full bunkhouse and meals at the mid-point is available through pre-booking. Off trail, 1.1 miles down a steep descent, Greenleaf Hut is also available when pre-booked. 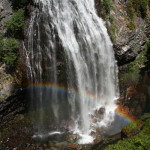 The campsites have available water, tent platforms and seasonal caretakers. They are not reservable and operate on a first come, first serve basis with overflow available during the busy season. Campsite fees are $8 per night per person. 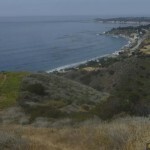 Plan to carry water as the ridges are dry and represent a large percentage of the trail. Water is available at the campsites, Galehead Hut and at Garfield Pond after the descent off Mt. Lafayette. The 0.3 mile descent to Liberty Springs Campsite steep and time consuming even without a pack, but does permit you to carry water to that point and then replenish before the remainder of Franconia Ridge. I chose to complete the loop in three days in a clockwise circuit, the most typical direction. The plan for the first day can be difficult. You can choose a short or part day to Liberty Spring Campsite, a long day to Garfield or a pre-booking at Greenleaf Hut off trail. After that, Guyot Campsite evenly splits the remaining miles. Each end of the trail is on an abandoned railroad bed which means a fast easy grade for the first and last few miles. After walking the old rail line I turned up the Osseo Trail and began the ascent up Mt. Flume through the trees to the start of Franconia Ridge. On the ridge above the tree line, weather plays a large role as you’re exposed to the elements for over five miles; wind proofs are greatly appreciated. 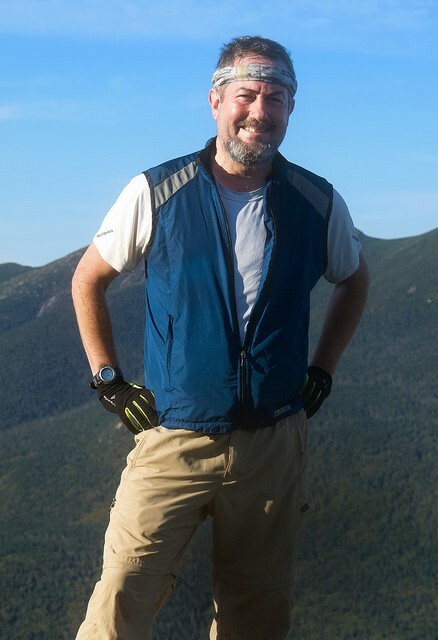 On my first day I was in and out of the clouds with full or partial views into the Wilderness and outward to the rest of the Presidential Range. I had originally planned to go to Garfield Ridge Campsite on day one, but even with an 8 AM start I found myself in the clouds and high winds on top of Mt. Lafayette (5700’) at 5 PM which was too late to descend two hours and then ascend Garfield Ridge to the campsite before dark. At 7 PM, after eleven hours of hiking, I arrived at Garfield Pond where, with a bit of bushwhacking, I was able to find enough level ground for my tent before dark. Seth and Ben, who I met earlier on Mt. 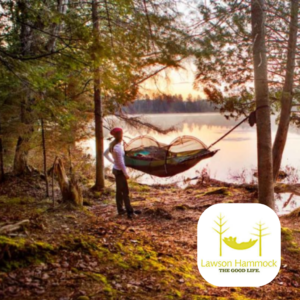 Liberty (Seth had suggested Garfield Pond as an option) chose to hammock at the pond rather than face Mt. Garfield in the dark. On day two, an early morning and clear, cool weather made the climb up Garfield and the descent to Galehead Hut very picturesque. Galehead Hut (est. 1932 and rebuilt after a fire in 2000) is located on the trail between Mt. Garfield and South Twin Mountain. It’s worth setting some time aside for. Snacks and hot drinks can be purchased and water bottles filled up. I was lucky enough to run into some AT Thru-hikers enroute to Maine at Galehead. They were aiming for a finish in approximately three weeks or mid-October. They were already feeling the end of their trail which had started in late March or early April. Talking to them brought back memories of my 1986 north to south thru hike. Leaving Galehead Hut puts you immediately on the Twinway Trail up South Twin Mountain. It’s a knee-busting 0.8 mile section of trail rising on classic White Mountain granite steps 1,200 feet to the summit. I topped out early afternoon and then descended to Guyot Campsite for a 4 PM finish to the day. Guyot was busy, but I was able to get one of the last double tent platforms, sharing with three other tents. 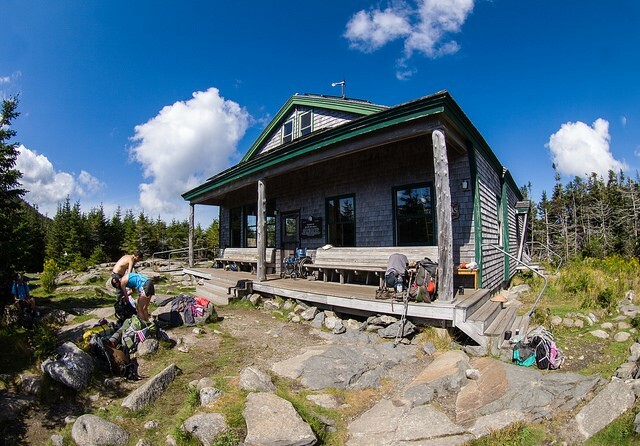 Guyot has four single platforms, two doubles, an Adirondack-style shelter which sleeps 12 as well as overflow sites. The platforms are preferable as the water source is central to the platforms, but they’re well down the slope from the overflow sites, making water carrying necessary. Rain began overnight and turned into drizzle for the final day as I ascended the Bonds on the Bondcliff Trail. 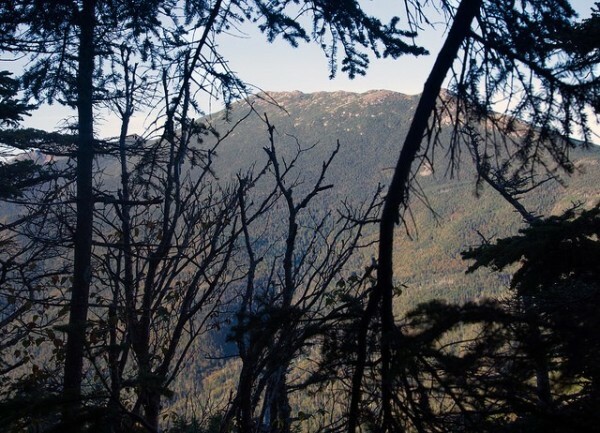 This portion has a significant part above the tree line which made for spectacular views, even with limit visibility. The final portion of the trail is a steady descent to the Lincoln Woods Trail, approximately three miles of generally level rail trail. I was out of the woods at two in the afternoon. In terms of gear, in general I took my lightest gear because of the elevation change and the need to carry water. For example, I treated water with tablets rather than a filter to save weight, and I had no issues. I took into account the elevation, weather, temperature (low 50s) and exposure and carried shell layers which are perhaps more important than insulating layers. I made sure that I waterproofed my pack and bedding. Lunch lounging was not an option because of the exposure, so I took snacks for the day and made sure that I ate regularly given the temperature and strenuous trail. Having containers to carry water is a must, and my Platypus containers allowed me to carry up to 4 litres. This was useful in camp. Putting a warm layer in a waterproof bag on the outside of my pack for breaks was handy. I chose a synthetic fill jacket as it gradually got wet over several days but still remained warm. 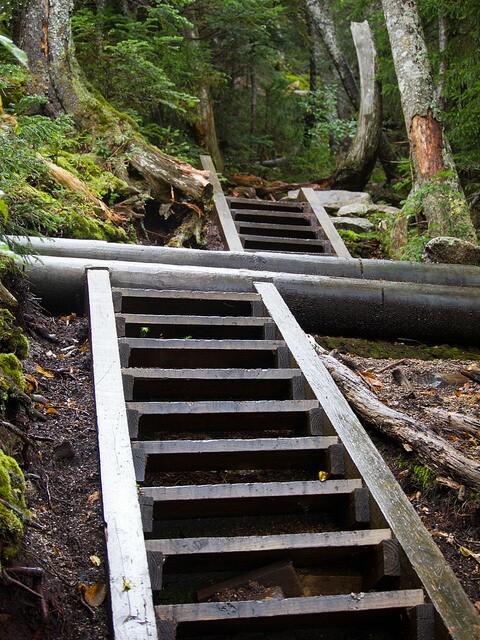 The trail can be accessed from other points around its perimeter, so an entirely different hike could be planned based upon those optional trailheads. 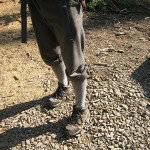 An example would be starting at the Liberty Spring trailhead, hiking up to the campsite and then on to the loop. The Garfield Ridge Trail is another example, as is the route up through Greenleaf Hut. As well, the trail has side routes to four other 4000 footers which can be added as side trips. The next day I wrapped the trip up by taking the Mt. 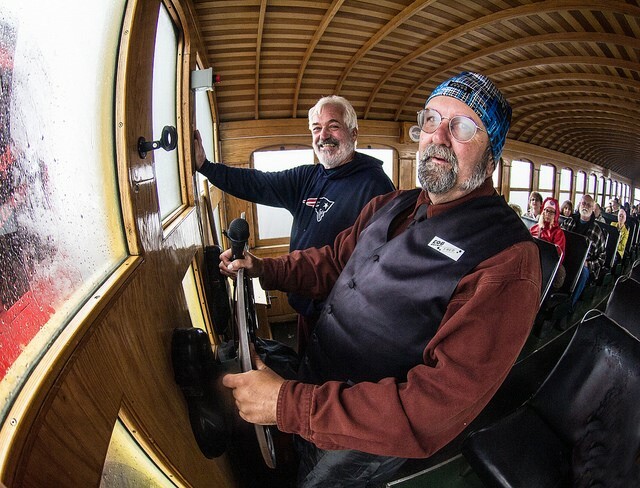 Washington Cog Railway to the summit and experienced the 75 mile per hour gusts without having to hike up and down – a decision I was very happy about! I stayed overnight in Lincoln pre-trip, the White Mountain Hostel in Conway post trip (which I highly recommend) and Gorham, a classic AT trail town, on the way home. I’m hooked and will definitely be back to hike the loop again. Andrew Grieve is a commercial lawyer by trade and an avid backpacker and endurance athlete by choice. 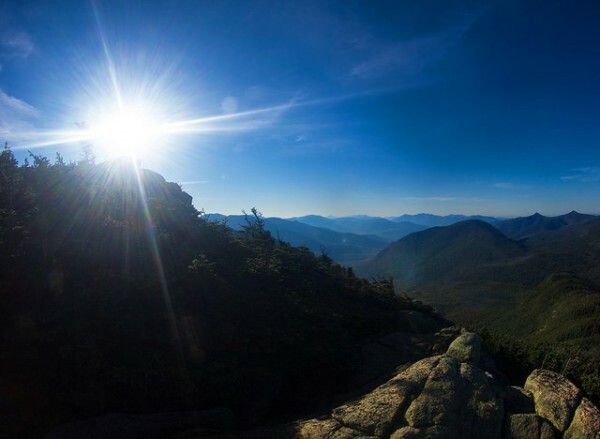 From the Boy Scouts in eastern Canada through an Appalachian Trail end to end hike and Mt. McKinley’s West Buttress he has been on most eastern trails and mountains in winter and summer. 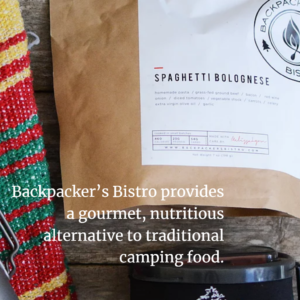 When not beer drinking with his photo group he can be found at home in Toronto with his awesome family dehydrating food, making lists and planning his next adventure.